What does Evidence-based Chiropractic mean to you when selecting a chiropractor? 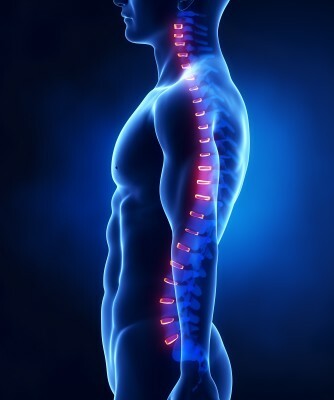 Evidence requirement is what differentiates us from some other chiropractic practices. We are ‘holistic’ in the sense that we take into consideration lifestyle and issues of general health and wellness when diagnosing and treating our wonderful patients, not in the sense that we dispense proprietary potions or dabble in esoteric forms of healing. Dr. Berkoff is a medical researcher whose work has been published in major peer-reviewed medical journals, and is the co-author of a medical textbook on the treatment of chronic muscle pain disorders (currently in use in chiropractic, osteopathic, and medical schools). His practice is continually evolving as he keeps abreast of the latest medical and scientific research. As an evidence-based chiropractor, Dr. Berkoff does not view the chiropractic profession through the narrow lens which reduces all medical problems to subluxations of the spine. His early years in practice were spent at the Neurologic Centre for Headache and Pain, in La Jolla, where he practiced alongside renowned neurologist Dr. David Hubbard. Dr. Berkoff participated in the formation of the Sharp Pain Program and helped conduct research on chronic pain with Dr. Hubbard and Dr. Richard Gevirtz at California School of Professional Psychology (now Alliant University). For the last 20 years, working alongside our partners, the medical practitioners at La Jolla Village Family Medical Group, Dr. Berkoff continues to keep up with the latest scientific and medical research allowing us to provide what we believe to be the highest level of care to our patients.